Definition at line 40 of file llfloatergroupinvite.cpp. Definition at line 60 of file llfloatergroupinvite.cpp. Definition at line 65 of file llfloatergroupinvite.cpp. 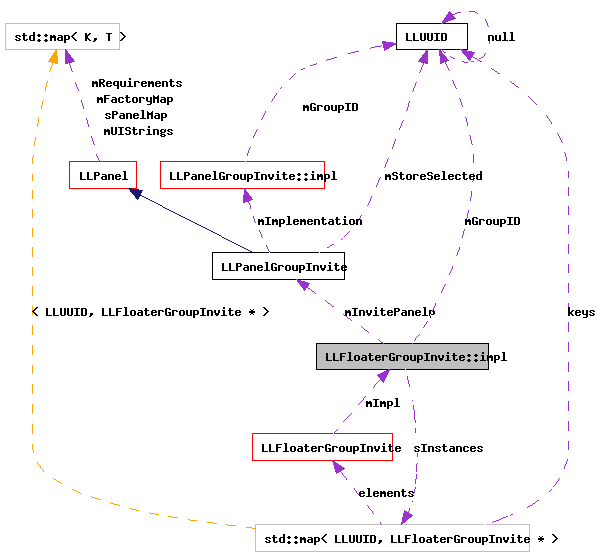 Definition at line 70 of file llfloatergroupinvite.cpp. Definition at line 49 of file llfloatergroupinvite.cpp. Referenced by impl(), and LLFloaterGroupInvite::~LLFloaterGroupInvite(). Definition at line 50 of file llfloatergroupinvite.cpp. Referenced by LLFloaterGroupInvite::LLFloaterGroupInvite(), LLFloaterGroupInvite::showForGroup(), and LLFloaterGroupInvite::~LLFloaterGroupInvite(). Definition at line 52 of file llfloatergroupinvite.cpp. Referenced by LLFloaterGroupInvite::showForGroup(), and LLFloaterGroupInvite::~LLFloaterGroupInvite().